thiruvAimozhi 2.4.1 – Adi Adi – http://divyaprabandham.koyil.org/index.php/2016/03/thiruvaimozhi-2-4-4-adi-adi/ – English translation. Full series can be viewed at http://divyaprabandham.koyil.org/index.php/thiruvaimozhi/ . SrIranga gadhyam 2nd chUrNai – http://divyaprabandham.koyil.org/index.php/2016/03/sriranga-gadhyam-2/ – English translation by T N krishNan swamy. Full series available at http://divyaprabandham.koyil.org/index.php/2016/02/sriranga-gadhyam/ . dhivya prabandham- thiruvAimozhi 2.4 – AdiyAdi – Audio rendering – http://divyaprabandham.koyil.org/index.php/2016/03/thiruvaimozhi-2-4-audio/ . dhivya prabandham- thiruvAimozhi 2.4 – AdiyAdi – http://divyaprabandham.koyil.org/index.php/2016/03/thiruvaimozhi-2-4-adiyadi/ – English translation. Full series can be viewed at http://divyaprabandham.koyil.org/index.php/thiruvaimozhi/ . thiruvAimozhi 2.3.11 – kuzhAm koL – http://divyaprabandham.koyil.org/index.php/2016/03/thiruvaimozhi-2-3-11-kuzham-kol/ – English translation. Full series can be viewed at http://divyaprabandham.koyil.org/index.php/thiruvaimozhi/ . 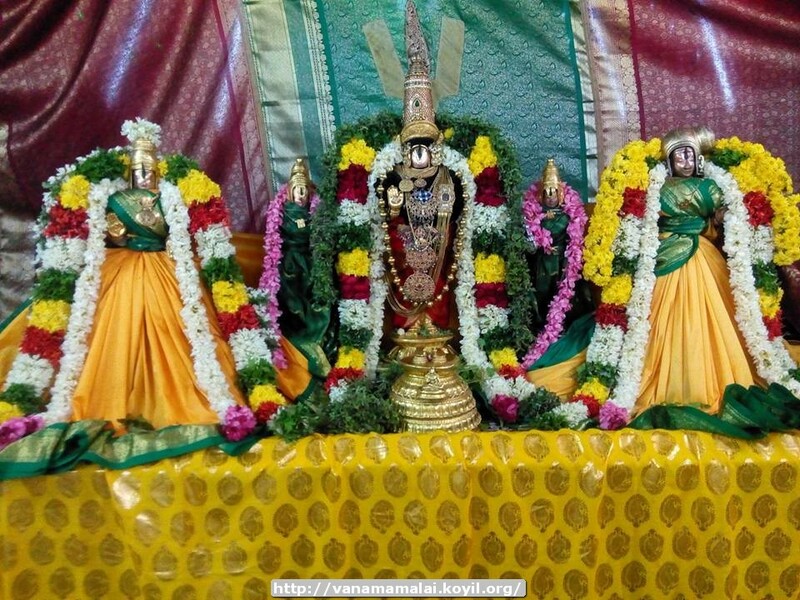 SrIranga gadhyam 1st chUrNai Part 2 – http://divyaprabandham.koyil.org/index.php/2016/03/sriranga-gadhyam-1-part-2/ – English translation by T N krishNan swamy. Full series available at http://divyaprabandham.koyil.org/index.php/2016/02/sriranga-gadhyam/ . thiruvAimozhi 2.3.10 – kaLippum kavarvum – http://divyaprabandham.koyil.org/index.php/2016/02/thiruvaimozhi-2-3-10-kalippum-kavarvum/ – English translation. Full series can be viewed at http://divyaprabandham.koyil.org/index.php/thiruvaimozhi/ . Commencement of SrI varavaramuni dhinacharyA telugu translation available at http://divyaprabandham.koyil.org/index.php/2016/02/sri-varavaramuni-dhinacharya-telugu/ based on http://divyaprabandham.koyil.org/index.php/2015/05/sri-varavaramuni-dhinacharya-tamil/ . Translation by chUdAmaNi chakravarathi ammangar. This entry was posted in Uncategorized on February 29, 2016 by Sarathy Thothathri. mAsi visAgam – nammAzhwAr (http://acharyas.koyil.org/index.php/nammazhwar/) dhivya mangaLa vigraha prathishtA dhinam (anniversary) at AzhwArthirunagari – http://azhwarthirunagari.koyil.org/ . thIrthavAri for nammAzhwAr today. 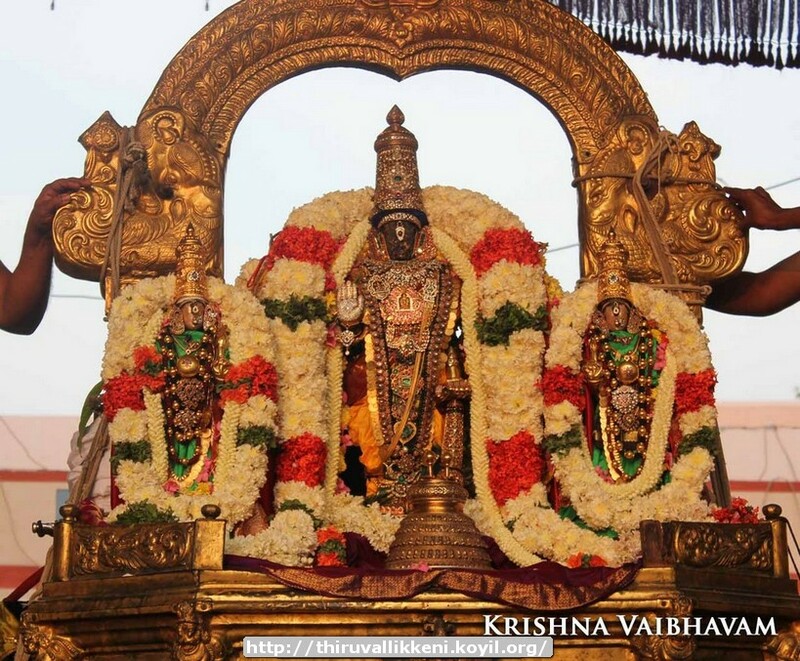 SrIvaishNava granthams – Simple Guide to SrIvaishNavam – Reader’s guide – https://srivaishnavagranthamshindi.wordpress.com/2016/02/28/simple-guide-to-srivaishnavam-readers-guide/ based on https://srivaishnavagranthams.wordpress.com/readers-guide/ – Hindi translation by bhagavathi ammangar. Full series can be viewed at https://srivaishnavagranthamshindi.wordpress.com/simple-guide-to-srivaishnavam/ . thiruvAimozhi 2.3.9 – kadivAr thaNNanthuzhAy – http://divyaprabandham.koyil.org/index.php/2016/02/thiruvaimozhi-2-3-9-kadivar-thannanthuzhay/ – English translation. 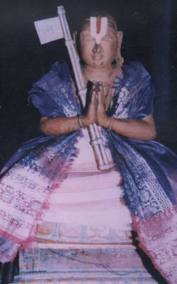 Full series can be viewed at http://divyaprabandham.koyil.org/index.php/thiruvaimozhi/ . Commencement of thiruppAvai Audio rendering at http://divyaprabandham.koyil.org/index.php/2016/02/thiruppavai-audio/ . thaniyans and first five pAsurams available. Commencement of hindi translation https://srivaishnavagranthamshindi.wordpress.com/simple-guide-to-srivaishnavam/ based on http://ponnadi.blogspot.in/p/simple-guide-to-srivaishnavam.html . Translation by bhagavathi ammangar. Commencement of thamizh translation https://srivaishnavagranthamstamil.wordpress.com/simple-guide-to-srivaishnavam/ based on http://ponnadi.blogspot.in/p/simple-guide-to-srivaishnavam.html . Translation by sadagopan swamy. thiruvAimozhi 2.3.8 – kuRikkoL gyAnangaLAl – http://divyaprabandham.koyil.org/index.php/2016/02/thiruvaimozhi-2-3-8-kurikkol-gyanangalal/ – English translation. Full series can be viewed at http://divyaprabandham.koyil.org/index.php/thiruvaimozhi/ . thirukkuRunthANdagam and thirunedunthANdagam munnadi/pinnadi e-book link available at http://divyaprabandham.koyil.org/index.php/e-books . Thanks to thiruvEnkataththAn swamy for preparing the same. SatakOpar anthAdhi (source text) by kambanAttAzhwAr – e-book link available at http://divyaprabandham.koyil.org/index.php/e-books . Thanks to rAmAnujan swamy for preparing the same. This entry was posted in Uncategorized on February 27, 2016 by Sarathy Thothathri. dhivya prabandham – Commencement of SrIranga gadhyam – http://divyaprabandham.koyil.org/index.php/2016/02/sriranga-gadhyam/ – English translation by T N krishNan swamy. thaniyan translation available at http://divyaprabandham.koyil.org/index.php/2016/02/sriranga-gadhyam-thaniyan/ . dhivya prabandham – thiruvAimozhi 2.3.5 – iniyAr gyAnangaLAl – http://divyaprabandham.koyil.org/index.php/2016/02/thiruvaimozhi-2-3-5-iniyar-gyanangalal/ – English translation. Full series can be viewed at http://divyaprabandham.koyil.org/index.php/thiruvaimozhi/ . thiruvAimozhi 2.3.4 – enadhu AviyuL – http://divyaprabandham.koyil.org/index.php/2016/02/thiruvaimozhi-2-3-4-enadhu-aviyul/ – English translation. Full series can be viewed at http://divyaprabandham.koyil.org/index.php/thiruvaimozhi/ . Audio rendering of upadhEsa raththina mAlai – full rendering (all pAsurams in single file) uploaded – http://divyaprabandham.koyil.org/index.php/2015/12/upadhesa-raththina-malai-audio/ . SrIvaishNava granthams – virOdhi parihArangaL part 7 – https://srivaishnavagranthamshindi.wordpress.com/2016/02/15/virodhi-pariharangal-7/ based on http://ponnadi.blogspot.in/2013/12/virodhi-pariharangal-7.html – hindi translation by kEshav swamy. Full series can be viewed at https://srivaishnavagranthamshindi.wordpress.com/virodhi-pariharangal/ . dhivya prabandham – SaraNAgathi gadhyam – 21st to 23rd chUrNai (concluding part) – http://divyaprabandham.koyil.org/index.php/2016/02/saranagathi-gadhdyam-21-23/ – English translation by T N krishNan swamy. Full series at http://divyaprabandham.koyil.org/index.php/2015/11/saranagathi-gadhyam/ . With this, English translation for SaraNAgathi gadhyam is complete. SrIvaishNava granthams – charamOpAya nirNayam – rAmAnujar’s AchAryas establish his uththArakathvam – https://srivaishnavagranthamstelugu.wordpress.com/2016/02/14/charamopaya-nirnayam-ramanujars-acharyas/ based on http://ponnadi.blogspot.in/2012/12/charamopaya-nirnayam-ramanujars-acharyas.html – telugu translation (new article) by SrInivAsa rAmAnuja swamy. Full series can be viewed at https://srivaishnavagranthamstelugu.wordpress.com/charamopaya-nirnayam/ . thiruvAimozhi 2.3.3 – aRiyAk kAlaththuLLE – http://divyaprabandham.koyil.org/index.php/2016/02/thiruvaimozhi-2-3-3-ariyak-kalaththulle/ – English translation. Full series can be viewed at http://divyaprabandham.koyil.org/index.php/thiruvaimozhi/ . rAmAnusa nURRanthAdhi – pAsuram 18 – http://divyaprabandham.koyil.org/index.php/2016/02/ramanusa-nurranthadhi-18/ – English translation by raghurAm swamy. Full series can be viewed at http://divyaprabandham.koyil.org/index.php/2015/07/ramanusa-nurranthadhi/ . upadhESa raththina mAlai – pAsuram 74 and Conclusion – http://divyaprabandham.koyil.org/index.php/2016/02/upadhesa-raththina-malai-74-and-conclusion/ – English translation by raghurAm swamy. Full series at http://divyaprabandham.koyil.org/index.php/2015/11/upadhesa-raththina-malai/ . With this, English translation for upadhESa raththina mAlai is complete. thiruvAimozhi 2.3.2 – oththAr mikkArai – http://divyaprabandham.koyil.org/index.php/2016/02/thiruvaimozhi-2-3-2-oththar-mikkarai/ – English translation. Full series can be viewed at http://divyaprabandham.koyil.org/index.php/thiruvaimozhi/ . SaraNAgathi gadhyam – 20th chUrNai – http://divyaprabandham.koyil.org/index.php/2016/02/saranagathi-gadhyam-20/ – English translation by T N krishNan swamy. Full series at http://divyaprabandham.koyil.org/index.php/2015/11/saranagathi-gadhyam/ . upadhESa raththina mAlai – pAsuram 73 – http://divyaprabandham.koyil.org/index.php/2016/02/upadhesa-raththina-malai-73/ – English translation by raghurAm swamy. Full series at http://divyaprabandham.koyil.org/index.php/2015/11/upadhesa-raththina-malai/ . thiruvAimozhi 2.3.1 – Unil vAzh – http://divyaprabandham.koyil.org/index.php/2016/02/thiruvaimozhi-2-3-1-unil-vazh/ – English translation. Full series can be viewed at http://divyaprabandham.koyil.org/index.php/thiruvaimozhi/ . upadhESa raththina mAlai – pAsuram 72 – http://divyaprabandham.koyil.org/index.php/2016/02/upadhesa-raththina-malai-72/ – English translation by raghurAm swamy. Full series at http://divyaprabandham.koyil.org/index.php/2015/11/upadhesa-raththina-malai/ . thiruvAimozhi – Commencement of English translation for 2nd centum 3rd decad – http://divyaprabandham.koyil.org/index.php/2016/02/thiruvaimozhi-2-3-unil-vazh/ . Audio recording for this decad can be heard at http://divyaprabandham.koyil.org/index.php/2016/02/thiruvaimozhi-2-3-audio/ . Full series can be viewed at http://divyaprabandham.koyil.org/index.php/thiruvaimozhi/ . upadhESa raththina mAlai – pAsuram 71 – http://divyaprabandham.koyil.org/index.php/2016/02/upadhesa-raththina-malai-71/ – English translation by raghurAm swamy. Full series at http://divyaprabandham.koyil.org/index.php/2015/11/upadhesa-raththina-malai/ . dhivya prabandham – upadhESa raththina mAlai – pAsuram 70 – http://divyaprabandham.koyil.org/index.php/2016/02/upadhesa-raththina-malai-70/ – English translation by raghurAm swamy. Full series at http://divyaprabandham.koyil.org/index.php/2015/11/upadhesa-raththina-malai/ . Simple guide to SrIvaishNavam – English – e-book link available at http://ponnadi.blogspot.in/p/simple-guide-to-srivaishnavam.html and https://srivaishnavagranthams.wordpress.com/e-books/. thiruvAimozhi 2.2.11 – Eththa Ezhulagum – http://divyaprabandham.koyil.org/index.php/2016/02/thiruvaimozhi-2-2-11-eththa-ezhulagum/ . Full series can be viewed at http://divyaprabandham.koyil.org/index.php/thiruvaimozhi/ . SaraNAgathi gadhyam – 19th chUrNai – http://divyaprabandham.koyil.org/index.php/2016/02/saranagathi-gadhyam-19/ – English translation by T N krishNan swamy. Full series at http://divyaprabandham.koyil.org/index.php/2015/11/saranagathi-gadhyam/ . upadhESa raththina mAlai – pAsuram 69 – http://divyaprabandham.koyil.org/index.php/2016/02/upadhesa-raththina-malai-69/ – English translation by raghurAm swamy. Full series at http://divyaprabandham.koyil.org/index.php/2015/11/upadhesa-raththina-malai/ . 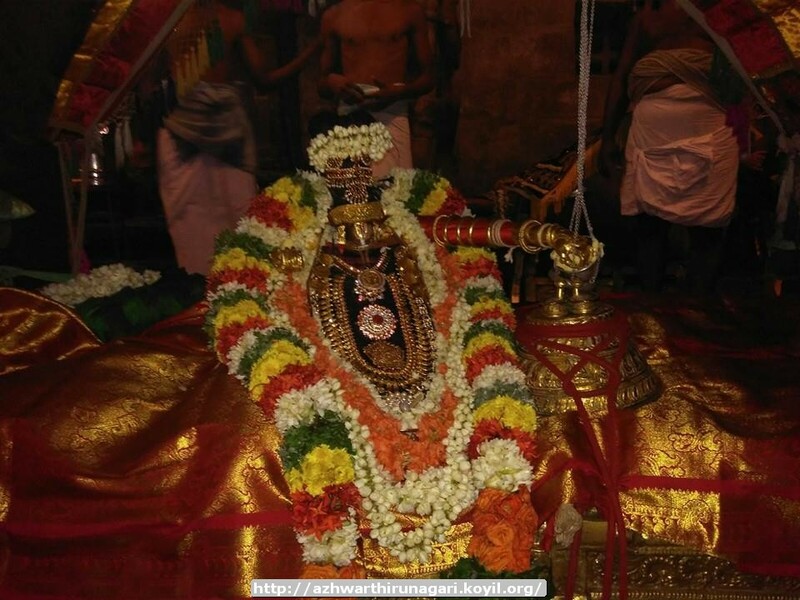 thiruvAimozhi 2.2.10 – kaLvA! emmaiyum – http://divyaprabandham.koyil.org/index.php/2016/02/thiruvaimozhi-2-2-9-kakkum-iyalvinan/ . Full series can be viewed at http://divyaprabandham.koyil.org/index.php/thiruvaimozhi/ . upadhESa raththina mAlai – pAsuram 68 – http://divyaprabandham.koyil.org/index.php/2016/02/upadhesa-raththina-malai-68/ – English translation by raghurAm swamy. Full series at http://divyaprabandham.koyil.org/index.php/2015/11/upadhesa-raththina-malai/ . guru paramaparai – sEnai mudhaliyAr (vishwaksEnar) – life and glories in kannada – https://guruparamparaikannada.wordpress.com/2016/02/07/senai-mudhaliar/ based on http://guruparamparai.wordpress.com/2012/08/18/senai-mudhaliar/ – new article by AG rAmAnuja swamy. Please visit https://guruparamparaikannada.wordpress.com/2015/08/17/introduction-2/ to see the full list. thiruvAimozhi 2.2.9 – kAkkum iyalvinan – http://divyaprabandham.koyil.org/index.php/2016/02/thiruvaimozhi-2-2-9-kakkum-iyalvinan/ . Full series can be viewed at http://divyaprabandham.koyil.org/index.php/thiruvaimozhi/ . upadhESa raththina mAlai – pAsuram 67 – http://divyaprabandham.koyil.org/index.php/2016/02/upadhesa-raththina-malai-67/ – English translation by raghurAm swamy. Full series at http://divyaprabandham.koyil.org/index.php/2015/11/upadhesa-raththina-malai/ . thiruvAimozhi 2.2.8 – karuththil thEvum – http://divyaprabandham.koyil.org/index.php/2016/02/thiruvaimozhi-2-2-8-karuththil-thevum/ . Full series can be viewed at http://divyaprabandham.koyil.org/index.php/thiruvaimozhi/ . upadhESa raththina mAlai – pAsuram 66 – http://divyaprabandham.koyil.org/index.php/2016/02/upadhesa-raththina-malai-66/ – English translation by raghurAm swamy. Full series at http://divyaprabandham.koyil.org/index.php/2015/11/upadhesa-raththina-malai/ . This entry was posted in Uncategorized on February 7, 2016 by Sarathy Thothathri. gIthArtha sangraham – Section 4 – http://githa.koyil.org/index.php/githartha-sangraham-hindi-4/ based on http://githa.koyil.org/index.php/githartha-sangraham-4/ – Hindi translation by bhagavathi ammangar. Full series can be viewed at http://githa.koyil.org/index.php/githartha-sangraham-hindi/ . upadhESa raththina mAlai – pAsuram 65 – http://divyaprabandham.koyil.org/index.php/2016/02/upadhesa-raththina-malai-65/ – English translation by raghurAm swamy. Full series at http://divyaprabandham.koyil.org/index.php/2015/11/upadhesa-raththina-malai/ . SrI rAmAnuja dharsanam – e-magazine – February/thai – thamizh Issue recently released and can be viewed at http://www.varavaramuni.com/home/sriramanuja-dharsanam-magazine/thamizh . 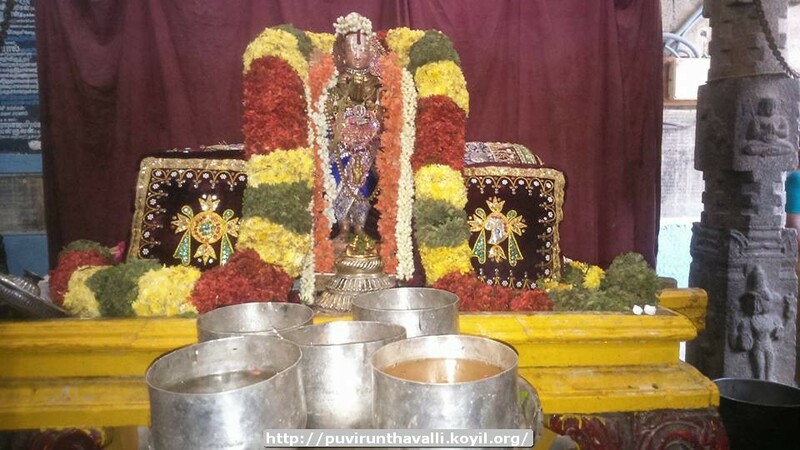 thiruvAimozhi 2.2.7 – paLLi Alilai – http://divyaprabandham.koyil.org/index.php/2016/02/thiruvaimozhi-2-2-7-palli-alilai/ . Full series can be viewed at http://divyaprabandham.koyil.org/index.php/thiruvaimozhi/ . upadhESa raththina mAlai – pAsuram 64 – http://divyaprabandham.koyil.org/index.php/2016/02/upadhesa-raththina-malai-64/ – English translation by raghurAm swamy. Full series at http://divyaprabandham.koyil.org/index.php/2015/11/upadhesa-raththina-malai/ . SrI rAmAnuja dharsanam – e-magazine – February/thai – english Issue recently released and can be viewed at http://www.varavaramuni.com/home/sriramanuja-dharsanam-magazine/english . SaraNAgathi gadhyam – 17th chUrNai part 2 and 18th chUrNai – http://divyaprabandham.koyil.org/index.php/2016/02/saranagathi-gadhyam-churnai-17-part-2-and-18/ – English translation by T N krishNan swamy. Full series at http://divyaprabandham.koyil.org/index.php/2015/11/saranagathi-gadhyam/ . ashta SlOkI – thamizh and English e-book links available at http://divyaprabandham.koyil.org/index.php/2016/01/ashta-sloki-tamil/ and http://divyaprabandham.koyil.org/index.php/2016/01/ashta-sloki/ . Also available at : http://divyaprabandham.koyil.org/index.php/e-books/ . Thanks to parAsara (pradeep) swamy for preparing the e-books. upadhESa raththina mAlai – pAsuram 63 – http://divyaprabandham.koyil.org/index.php/2016/02/upadhesa-raththina-malai-63/ – English translation by raghurAm swamy. Full series at http://divyaprabandham.koyil.org/index.php/2015/11/upadhesa-raththina-malai/ . pramEya sAram – thamizh and English e-book links available at http://divyaprabandham.koyil.org/index.php/2015/12/prameya-saram-tamil/ and http://divyaprabandham.koyil.org/index.php/2015/12/prameya-saram/ . Also available at : http://divyaprabandham.koyil.org/index.php/e-books/ . Thanks to parAsara (pradeep) swamy for preparing the e-books. upadhESa raththina mAlai – pAsuram 62 – http://divyaprabandham.koyil.org/index.php/2016/02/upadhesa-raththina-malai-62/ – English translation by raghurAm swamy. Full series at http://divyaprabandham.koyil.org/index.php/2015/11/upadhesa-raththina-malai/ . gIthArtha sangraham – Section 3 – http://githa.koyil.org/index.php/githartha-sangraham-hindi-3/ based on http://githa.koyil.org/index.php/githartha-sangraham-3/ – Hindi translation by bhagavathi ammangar. Full series can be viewed at http://githa.koyil.org/index.php/githartha-sangraham-hindi/ . 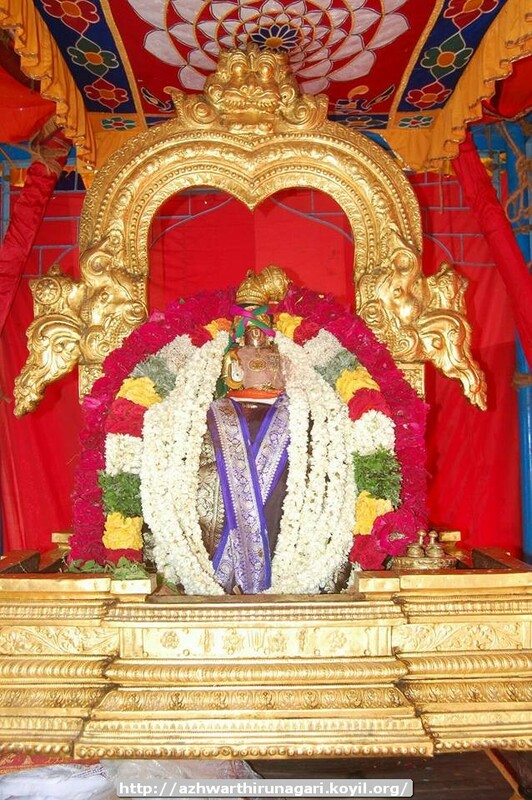 guru paramaparai – prathivAdhi bhayankaram aNNan – life and glories in thamizh – https://guruparamparaitamil.wordpress.com/2016/02/01/prathivadhi-bhayankaram-annan/ based on http://guruparamparai.wordpress.com/2013/08/06/prathivadhi-bhayankaram-annan/ – new article by magizhmARan swamy; reviewed by T N krishNan swamy . Please visit https://guruparamparaitamil.wordpress.com/2015/03/14/introduction-2/ to see the full list. dhivya prabandham – upadhESa raththina mAlai – pAsuram 61 (main pAsuram of this prabandham) – http://divyaprabandham.koyil.org/index.php/2016/02/upadhesa-raththina-malai-61/ – English translation by raghurAm swamy. Full series at http://divyaprabandham.koyil.org/index.php/2015/11/upadhesa-raththina-malai/ . SaraNAgathi gadhyam – 17th chUrNai part 1 – http://divyaprabandham.koyil.org/index.php/2016/01/saranagathi-gadhyam-17-part-1/ – English translation by T N krishNan swamy. Full series at http://divyaprabandham.koyil.org/index.php/2015/11/saranagathi-gadhyam/ . Audio rendering of rAmAnusa nURRanthAdhi – first 21 pAsurams uploaded – http://divyaprabandham.koyil.org/index.php/2016/01/ramanusa-nurranthadhi-audio/ . upadhESa raththina mAlai – pAsuram 60 – http://divyaprabandham.koyil.org/index.php/2016/01/upadhesa-raththina-malai-60/ – English translation by raghurAm swamy. Full series at http://divyaprabandham.koyil.org/index.php/2015/11/upadhesa-raththina-malai/ . This entry was posted in Uncategorized on February 1, 2016 by Sarathy Thothathri.